You need some PURPLE FIBER ART EASTER EGGS for those baskets! 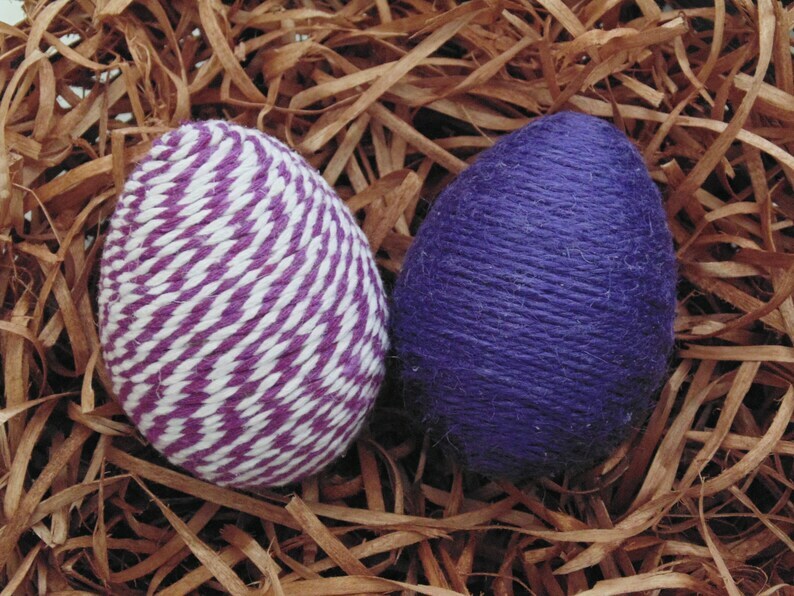 SET OF TWO PURPLE EGGS. Approximately 3 inches, like the size of the real ones. Hand Wrapped with natural jute, sisal, and cotton cording. DECORATING DONE! Great Easter Gift for the Kiddos. Maybe you have a special arrangement or basket for these. Oh, and don't forget the marshmallow chicks- they love those!